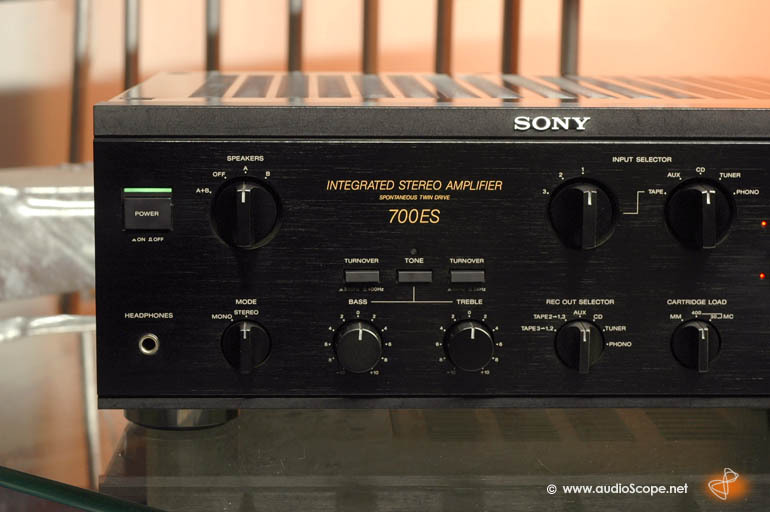 Sony TA-F 700 ES for sale. 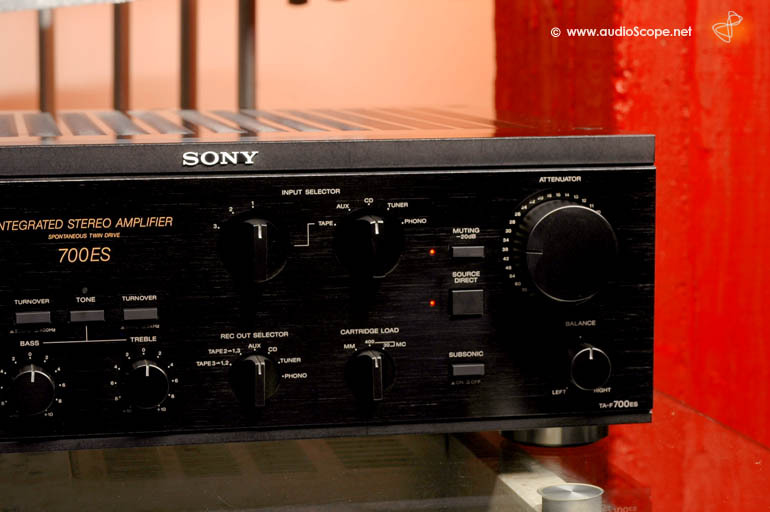 This Sony Integrated Amplifier has got it all. 110 + 110 watts RMS into 8 Ohms, 145 + 145 inot 4 Ohms. 19 KG weight, excellent finish, and all the features you could eventually need. 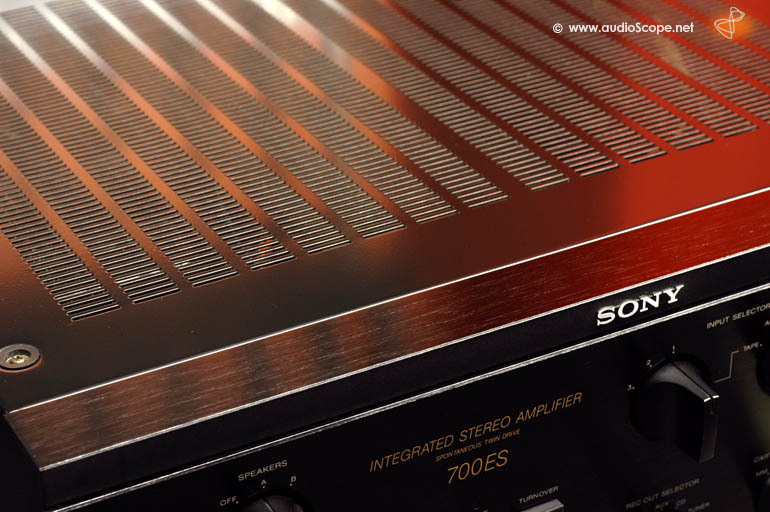 The sound is dynamic, detailed and souvereign in every situation. Sony Esprit. 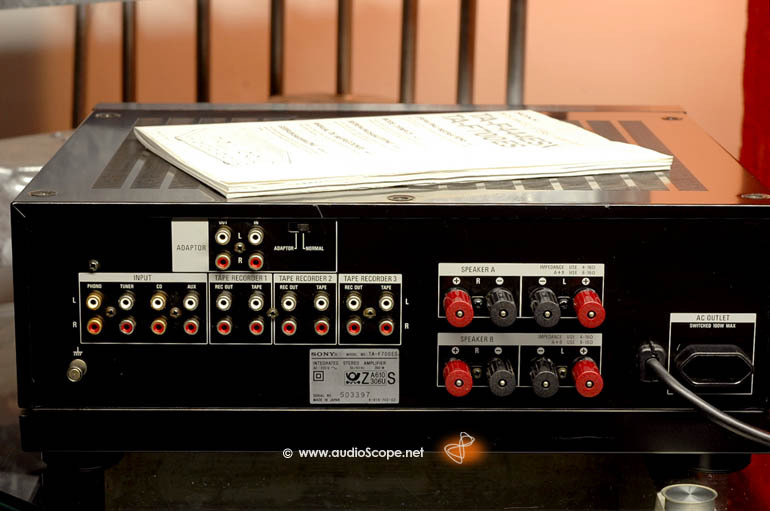 This amp features a giant power supply and a separable pre and power section. 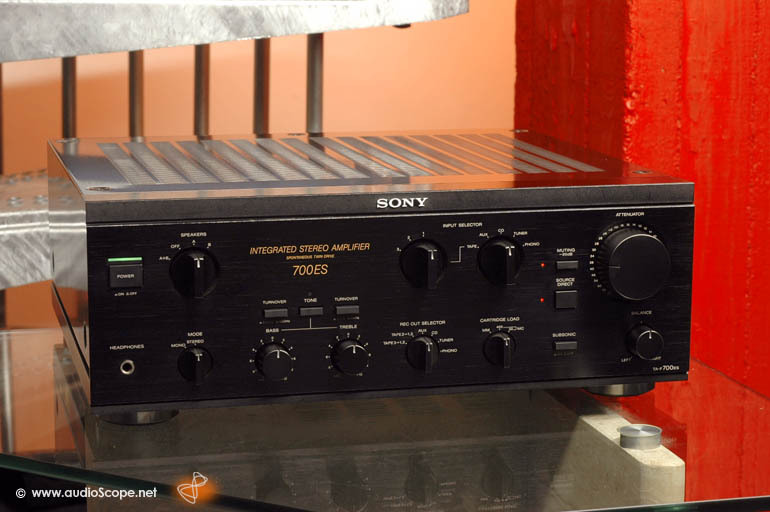 The inputs are numerous: Phono MM or MC input, tuner, aux, 3! tapes and main in. As outputs you will find 4 massive speaker terminals for biwireing or 4 speakers, an AC outlet and pre out connections. The technical and optical condition is mint. 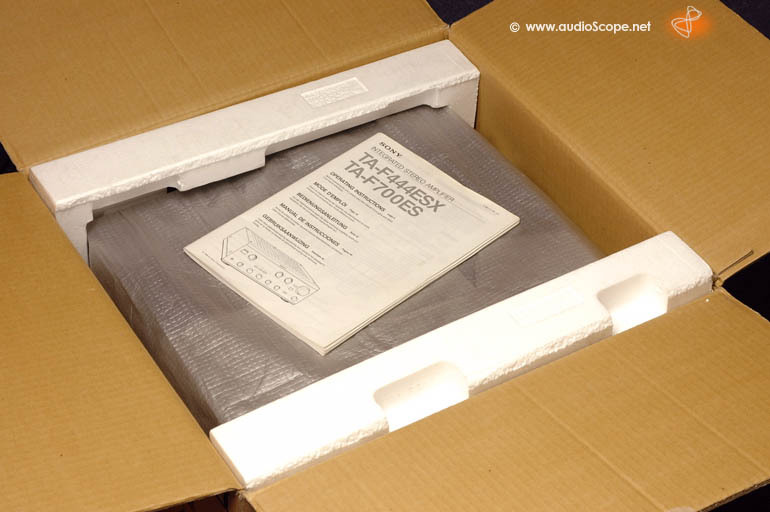 We will deliver this bolid in its original box with its original manual. A wonderful unit.